Join us to Stock the Box for Hunger at Lambeau Field on Sept. 23! 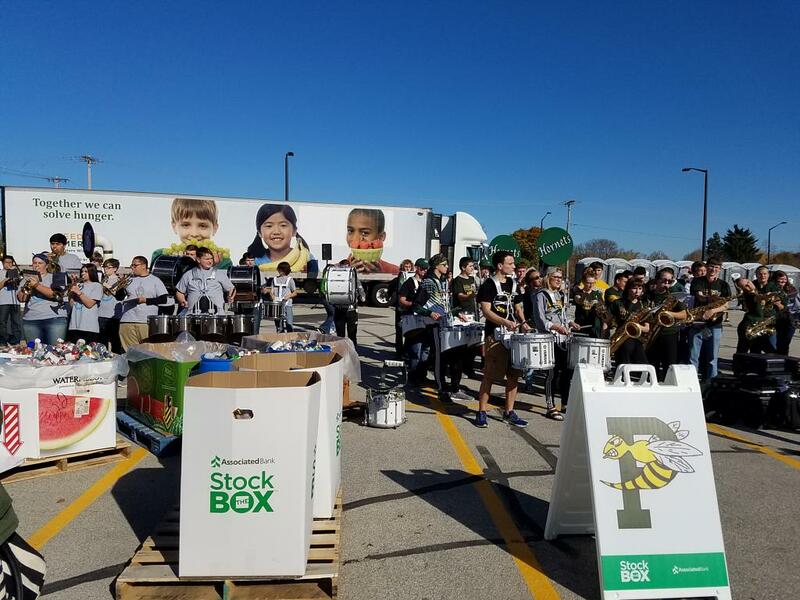 GREEN BAY, Wis. – September 12, 2017 – In partnership with Feeding America Eastern Wisconsin, the Green Bay Area Public School District and the Green Bay Packers, Associated Bank will host a second annual community-wide Stock the BoxTM for Hunger food collection and pep rally on Sept. 23 from 10 a.m. – 1 p.m. The event will be held in the Lambeau Field parking lot at the corner of Lombardi Ave. and Ridge Rd. To help with the collection, Green Bay East, West, Preble and Southwest high schools will be creatively collecting food at their respective schools and then showcasing their collection at the Sept. 23 event, where community members are encouraged to bring nonperishable, non-glass food items and add to their favorite school’s food collection pile. The school with the largest food collection pile will be recognized with a $2,000 grant to their music program. Runners up will receive a $1,000 grant. All food collected will benefit Feeding America Eastern Wisconsin. A Packers alumni will greet fans and autograph one item per person (or provide an autographed photo) and a high school band pep rally with dance / cheer teams will entertain the community as they drop off donations. Only nonperishable, non-glass food items will be accepted. Event held rain or shine.